Lagos, 10th August 2018 –Two safe day spaces are being planned for internally displaced women and children (IDPs) in Lagos and Benue States. 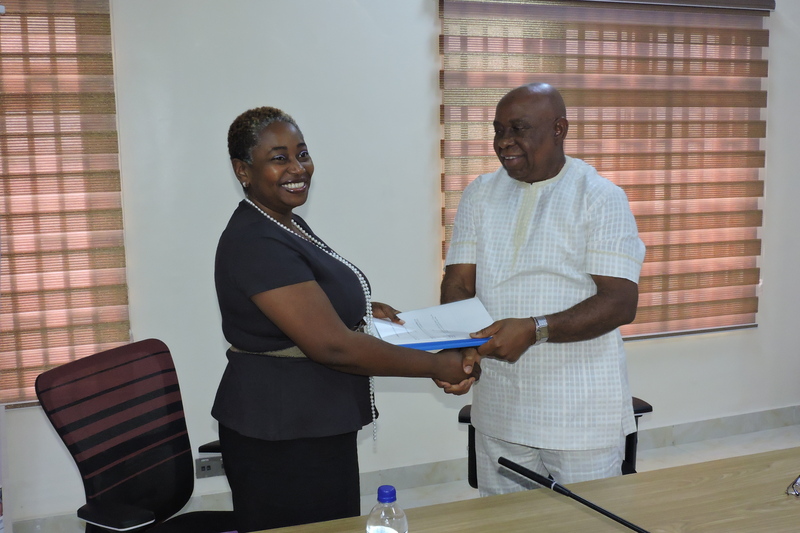 The safe day spaces, an initiative of Sesor Empowerment Foundation (Sesor), are among the deliverables of a Memorandum of Understanding (MOU) between the foundation and Grooming People for Better Livelihood Centre (Grooming Centre), a non-governmental organization. The MOU between the two NGOs was signed on Friday, 10th August 2018 by the CEO, Grooming Centre, Dr. Godwin Nwabunka and the CEO, Sesor, Ms. Ier Jonathan-Ichaver. As part of the MOU signing ceremony which took place at the offices of Grooming Centre, Ejigbo, a cheque donation of N10,291,500 was handed over to Sesor by Grooming Centre to support the foundation in its work with IDPs. Other components of the MOU include the provision of soft loans for women for them to engage in business ventures and thus, gain independence, and supporting the housing needs of these women by funding their relocation from slums to safer housing. The safe day spaces will serve as centres for psycho-social support services for the women and children. They will also serve as skills acquisition centres for the women as well as educational centres for children. Speaking at the MOU signing ceremony, CEO, Grooming Centre, Dr. Godwin Nwabunka said that Grooming Centre was supporting Sesor because they both had the shared goal of helping people who had been displaced. He added that there was need to constantly evaluate the intervention efforts covered by the collaboration between the two NGOs to be able to take the most appropriate actions towards meeting sustainable livelihood goals. In her response, CEO, Sesor, Ms. Ier Jonathan-Ichaver, traced the relationship of the two NGOs to 2014 when the first collaboration was initialled. 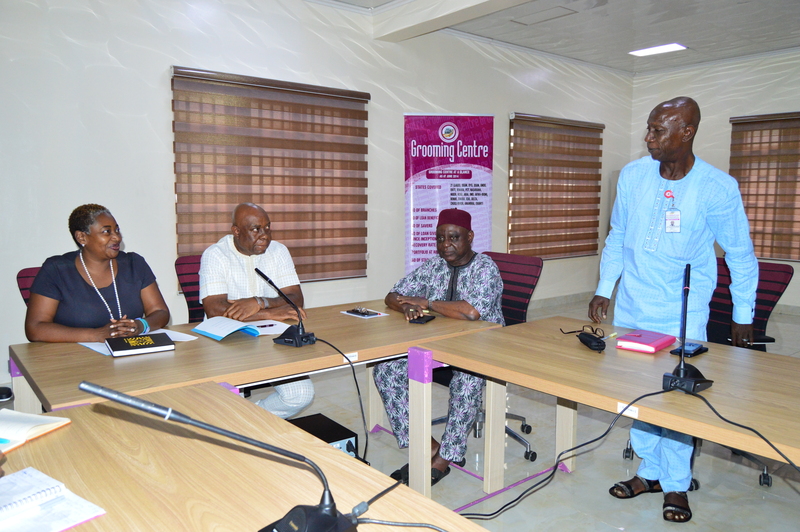 She said Grooming Centre was the first sponsor of Sesor’s efforts in the north-east of the country which began with the assessment of the enormity of the displacement needs in the region. Ms. Jonathan-Ichaver said that because of the collaboration with Grooming Centre, they were able to provide relief and empower women through the provision of soft loans for micro business. Women, in addition to the need for constant nutritional and psychosocial support, also faced challenges with sending their children to school, she stated. The Sesor CEO disclosed that the collaboration with Grooming Centre would see the relocation of displaced women and children from slums to safe housing. She revealed that these slums were not safe, and these women constantly lived in a state of fear with their children. She added that the collaboration would see the establishment of safe day spaces where women can access trauma counselling as well as other psychosocial services. There would also be the provision of educational support services which would include adult education and skills acquisition for the women, and library and recreational facilities for the children. In June 2016, Grooming Centre donated N2,777,500 to Sesor to pilot a 6-month project to rehabilitate and empower 50 internally displaced women in Lagos State through the provision of skills acquisition and business training for women who are yet to start a business; provision of business skills enhancement training for those already engaged in micro business; and the provision small loans to help the women start or enhance their business. 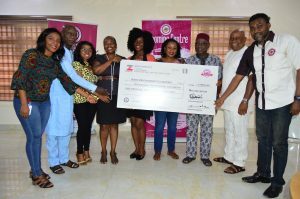 As a result, 60 women were trained and 21 of them qualified for micro loans of N20,000 each, which they used for their businesses, with 15 of them fully repaying their loans. Four of the 21 women were able to register at least one child each in school. Grooming Centre also donated N6,675,000 in May 2017, for the provision of micro loans to 51 IDPs, nine of which were from the previous year’s exercise. 31 of them have fully repaid their loans while three of them now have businesses worth over N100,000 each.